﻿ Should Shaun White return his X Games medal because of enhancers? Right after Shaun White’s triumph at the last X Games, a group of skaters from Street League Tee-M started a raucous on Facebook to disqualify him because he is using skater’s enhancement gear. The group immediately gathered 123 ½ followers (one of them is a scooter kid). 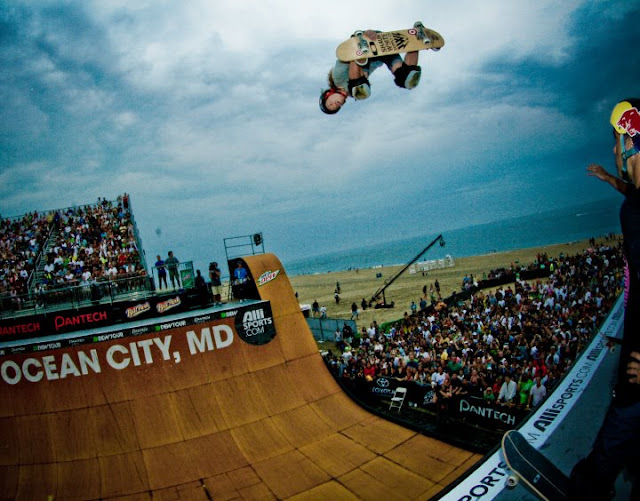 Indeed, in his last two contests (the Dew Tour in Ocean City and the X Games at Los Angeles), Shaun White has been using knee pads and a helmet; although the group has said repeatedly that helmets are “not the problem” because they merely protect and do not enhance the skater’s ability to perform difficult tricks. On the other hand, knee pads are used by some skaters to “knee slide” without risking bad injury when they bail out. At the X-Games, you clearly see Shaun White falling hard during a run but quickly getting up and exiting the ramp as if nothing had happened. ﻿ For the group, this is totally reprehensible. “Skateboarding is a dangerous sport and it should stay like this. Skateboarding is not for sissies.” They recall that the true meaning of skate and destroy is “skate and destroy yourself”. They added that “Thrasher coined the original motto more than 25 years ago, but had to drop the “yourself” part because they did not have enough space for the whole phrase on the cover of the initial black and white mag; back in 82…” After that, someone had the idea to reduce the font size, but it was already too late and the motto stick with the skateboarders. The Street League Tee M head of the group sent a press release that stated: ”It’s totally unfair for the vast majority of us who don’t use knee pads. It shows bad leadership and it’s a wrong image for skateboarding. If Shaun were a real skater he would not use enhancers”. 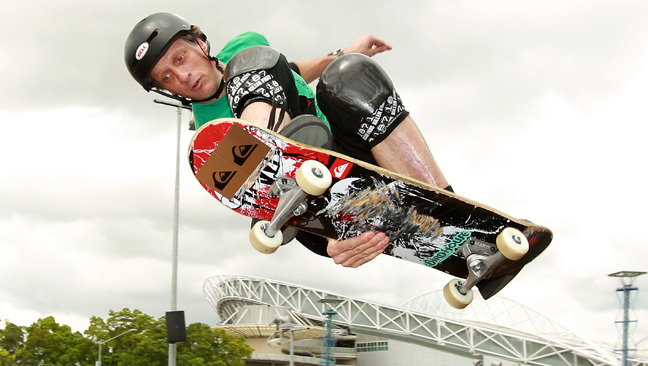 Use of performance-enhancing gear in vert skateboarding is not new. Skaters like Hosoi, Caballero, Grosso and even Lance Mountain have used them for decades but the means of enhancement are increasing since the pads are now better than they used to be 20 years ago. The 2007 Urethane Report found that several Major vert riders had used performance-enhancing gear (also wrongly named protective gear); other reports have found enhancers prevalent in baseball, hockey and other sports. even bigger star than Tony.. Get used to it. cheating while others see benefits, such as the potential to perform more difficult tricks and hence give the fans more excitement and push the boundaries of what can be done on a skateboard. More research is needed on why athletes turn to enhancers and effective means of stopping it. We all know it starts with knee pads but eventually it leads to hydrating substances like the Dew beverages, the Monster energizers or even Wahoo’s meals on wheels and ends up with Coke. Pressed to give a statement, Shaun White said he was too busy adding friends to his 1,500,000 million followers in Facebook and has not returned phone calls but in a press release just before a departure to visit a his new factory of hard goods in China, he said that he does not feel guilty because his “clothing line at Target is appealing to kids, not to real skateboarders”. OMG that is too funny! Loved it.